We’re back with another episode of Community Spotlight. On today’s episode, our host Leah Haslage sat down with Suzanne Turner, President of the National Federation of the Blind of Ohio, Cleveland Chapter, and William Turner, President for the Disability Coalition Movement. For decades, having limited or no vision meant a sedentary lifestyle, with opportunities for employment & socializing being limited. But now, thanks to modern technology and blind advocacy groups, individuals suffering from visual impairment can live healthy and productive lives. 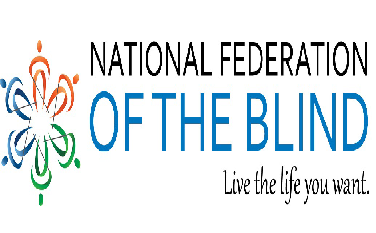 One such advocacy group is the previously mentioned National Federation of the Blind, who since 1940, have been improving rights and accessibility for blind Americans. The group lobbies yearly for laws to be updated or implemented for the growing number of self-sufficient blind individuals. Some recent improvements include blind-friendly prescription bottles, accessibility to medication, and the ability for blind adults to adopt. The N.F.B. also hosts yearly conventions, with the Ohio convention taking place earlier this month. Attendees had the opportunity to learn self-defense, receive flu shots, and for the younger attendees, even have a chance at earning college scholarships. The Cleveland chapter also hosts monthly meetings every third Friday at the Cleveland Sight Center, located at 1909 East 101st Street.